This paper explores the relevance of the action research for design of technological solutions that lead to both systemic sustainable development and active involvement of the community. The paper shows how this idea was implemented in a project for water resource conservation with educational institutions of rural areas in Colombia. Through the use of technology, a reduction in water consumption increases in awareness about the use of this natural resource, and the active involvement of the community were sought. Additionally, social processes related to the conservation of natural resources were addressed through a socio-technical approach for analysis and design. During the application of the Soft Systems Methodology (SSM), the participants and researchers created technological prototypes that allowed to: 1) give visibility to the community’s initiatives, and 2) save water in the households. 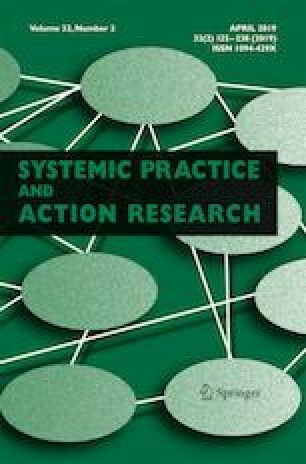 This paper focuses on the importance of the design process of innovative solutions for social and environmental issues through the participative approach of action research. The authors would like to thank the Secretary of Science, Technology and Innovation of the Gobernación de Cundinamarca for coordinating this project through the funding of the Sistema General de Regalías de Colombia (Colombian General Royalties System) under the Convenio SCTeI 022 de 2014 signed by the Gobernación de Cundinamarca, Universidad de Los Andes and Corporación Universitaria Minuto de Dios. They would also like to thank the students, teachers and principals from the participant educational institutions.